Manchester United this weekend host Everton and it’s no surprise the Merseyside clubs in form Belgian striker Romelu Lukaku has been heavily linked to join Manchester United in the summer. 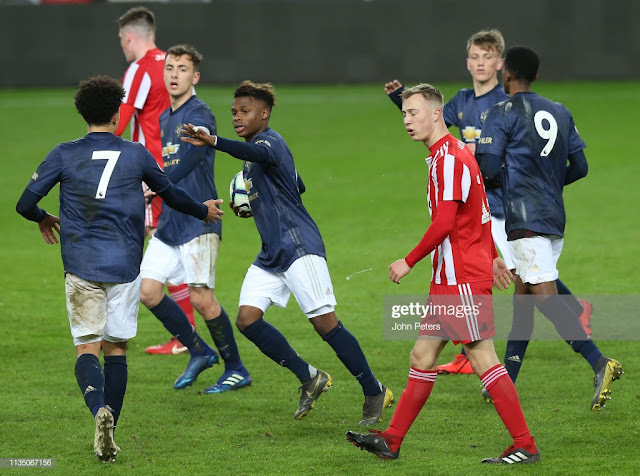 United fans have seen this story all too often with Lukaku being linked to join us since he burst onto the scene with Anderlecht at the age of just 16. This week however further fuel has been added to the fire with Lukaku’s father, the former footballer was quoted in an interview with Het Laatste Nieuws stating ‘’I think he (Romelu Lukaku) must choose Manchester United or Bayern Munich.’’ The transfer makes a lot of sense with Manchester United’s lack of centre forwards it surely has to be an area the club will look to strengthen in the summer. Also Everton have been poor in the Premier League this season and unless they win The FA Cup they will not be in Europe this season, this in all likelihood will further motivate the Belgian International to leave the club in the summer. Even as a teenager for Anderlecht Lukaku was frequently linked to join Manchester United. Rashford has been outstanding since his debut against Midtjylland at Old Trafford, however many would argue Manchester United have been desperately lacking a centre forward this season having sold both Robin Van Persie and Javier Hernández in the summer, whilst electing not to make Falcao’s loan spell permanent. 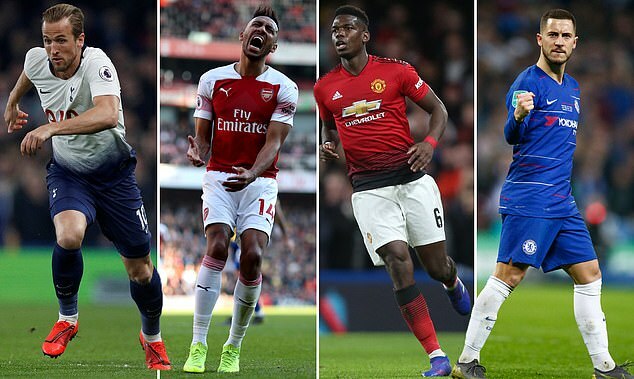 Anthony Martial did join the club in the summer to make up for the loss of a striker, however as impressive as the Parisian has been his best performances seem to have come from the left wing where he is allowed more space to isolate defenders and utilise his blistering pace and dribbling skills. Van Gaal has deployed Martial on the left side of the forward line and therefore highlights the need to sign a centre forward in the summer which is where the imposing figure of Romelu Lukaku steps in. In terms of physical attributes Lukaku is the perfect centre forward, he is as strong as an ox who is capable of bullying centre backs with his power. The 6 foot 2 inch tall Belgian is excellent in the air so can provide an outlet for long balls as well as getting on the end of crosses. Many centre forwards who possess his power and height aren’t usually the most mobile, however Lukaku does not fall into this category and has pace to cause plenty of problems for opposition defenders. Manchester United have had to rely upon another Belgian Marouane Fellaini when needing a physical presence and a lot of frustrated fans would agree Lukaku would be an upgrade on his fellow countryman. 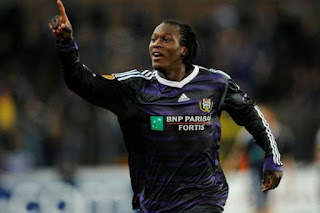 It would however be very remiss to think all Lukaku can offer is physicality to the team, he is a consistent goal scorer, in his first full season as a burgeoning 16 year old at Anderlecht he finished top scorer in Belgium’s equivalent of the Premier League which is a remarkable achievement for someone so young. He has not looked back since with him scoring goals wherever he has been (asides from his first season in the Premier League with Chelsea where he spent the majority of his time in the reserves). Evidence of this was when he became the fourth youngest player to score 50 Premier League goals joining the illustrious list of Fowler, Owen, Rooney and Ronaldo. This season at Everton he has taken his goal scoring to another level having scored 25 in just 36 games (as of 01/04/16). 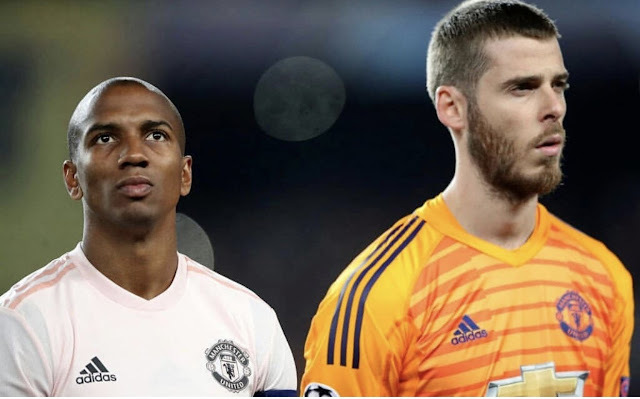 Manchester United have desperately lacked a goal scorer capable of scoring 20+ goals this season, our joint top scorers in the league have been Martial and Rooney who have scored just 7 league goals each. Adding someone like Lukaku would provide Manchester United with a goal scorer who could propel them to the league title. Lukaku has looked a more mature player this season, this is particularly the case with his movement, prior to this season he was guilty of being slightly lazy and was caught offside very frequently. This season it is no longer the case, he is constantly on the move trying to find weaknesses in the opposition defence to exploit and score goals. An example of this was his superb solo goal against his former team Chelsea this season in the FA Cup, he drifted near the left touchline instead of remaining central like he may have done in previous seasons. His hold up play has also improved significantly; this means Everton are retaining possession more in the final third allowing Lukaku to be a benefactor as he has more opportunities to find the net. Lukaku has been more prepared to drift around the pitch this season which could benefit Manchester United as he can interchange with the likes of Martial and swap positions at times. Jose Mourinho has been heavily linked to replace Van Gaal in the summer, now although we don’t know for certain if this will come to fruition if it were to happen a striker like Romelu Lukaku would suit his style of play. During Mourinho’s first successful spell in England with Chelsea he had Didier Drogba as his main centre forward who coincidentally is the man Lukaku idolises and who the Belgian has long been heralded as the successor to the Ivorian powerhouse. During Mourinho’s second spell in England when he won the league last season he had Diego Costa who led the line to devastating effect. One of the reasons why Chelsea were so poor under Mourinho this season was due to Costa not finding the same form as the previous season, this therefore highlights how paramount it is for Mourinho to have an effective centre forward for his style of play to work. 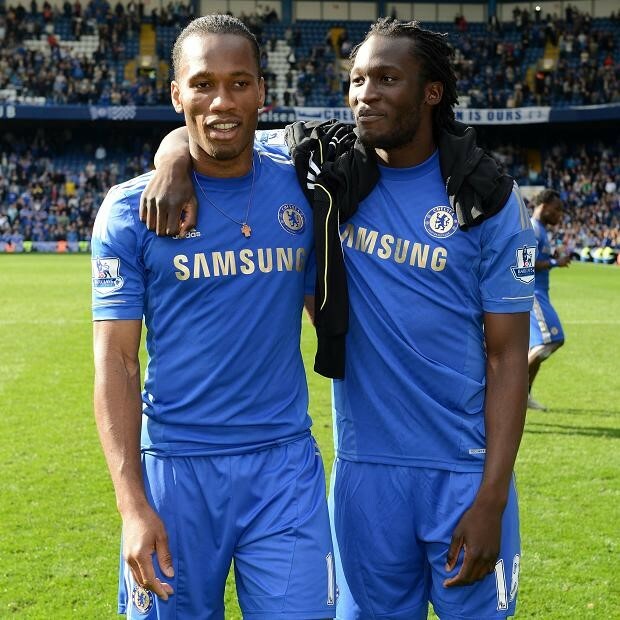 Lukaku is in a very similar mould to these two centre forwards in particularly Drogba, so it makes a lot of sense if Mourinho were to sanction the purchase of the Belgian. However, as we all know Mourinho did sell Lukaku and this topic will be discussed in further detail later on in the piece. Lukaku has long been heralded as the successor to Drogba, can Mourinho utilise Lukaku in the same way he did with Drogba at Chelsea? One of the big stumbling blocks for Manchester United to sign Lukaku is his agent who is the highly controversial Mino Raiola. 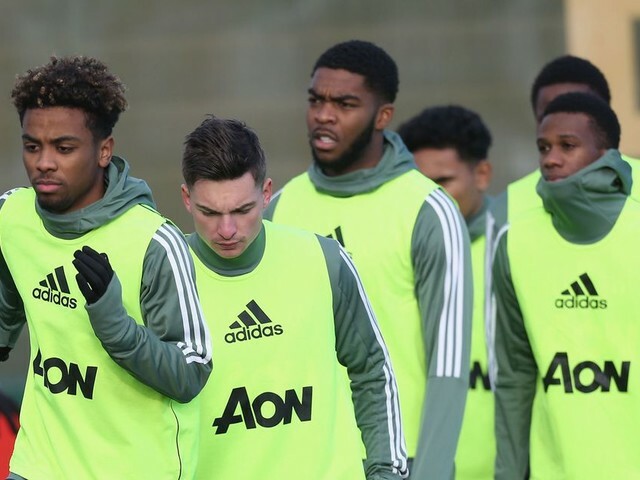 He is the agent of many footballing superstars such as Zlatan Ibrahimović and none other than the former Manchester United player Paul Pogba. The manner in which Pogba left may leave a sour taste with the club and could deter Manchester United in dealing with Raiola again. 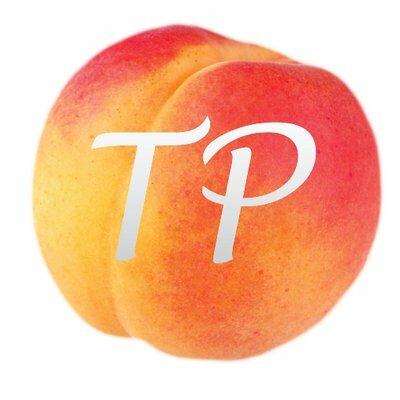 Sir Alex Ferguson has been highly critical of the agent and argued it was him who engineered the move for Pogba to leave Old Trafford and that Raiola cannot be trusted. Obviously Ferguson is no longer the manager but Woodward will no doubt be wary dealing with him, it’s no coincidence Manchester United do a lot of their dealings with Jorge Mendes who is a man trusted by the club and who Ferguson has spoken glowingly of in the past. 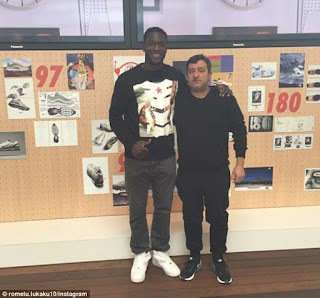 As Everton fans can attest to, Raiola is a very vocal agent who on numerous occasions has publically said Lukaku is looking for a move, if Raiola was to carry on this tactic were Lukaku to be a Manchester United player it would not go down well with the board and fans alike. ‘’Leaving Everton in the summer? Maybe, yes. You never know. 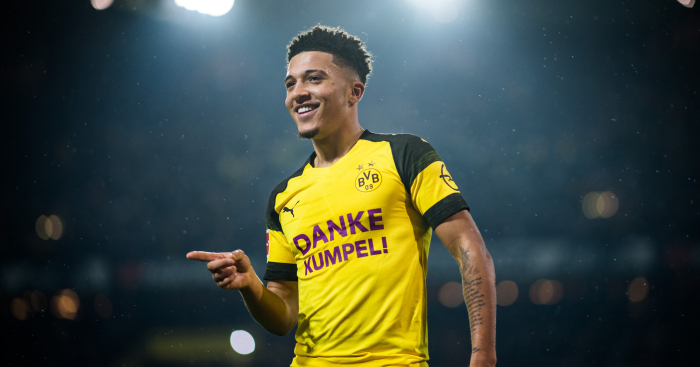 I become 23 & would like to play in the Champions League.’’ This is a concern, mainly because you sense if any of the big clubs like Barcelona, Real Madrid or Bayern Munich were to come in for the Belgian he would do everything possible to orchestrate a move to those clubs. You sense with Lukaku that if he were to sign for Manchester United that he would see the club as a stepping stone to join one of those big three clubs. This is not necessarily a bad thing as it provides motivation for him to perform at the highest level, but ultimately if those aforementioned clubs did come into the equation then Lukaku could adopt similar tactics to what he is doing at Everton. Once again this would leave a sour taste with Manchester United fans. Lukaku pictured with his infamous agent Mino Raiola. Another argument against signing Lukaku is due to the alternative strikers potentially available who Manchester United could try and sign. 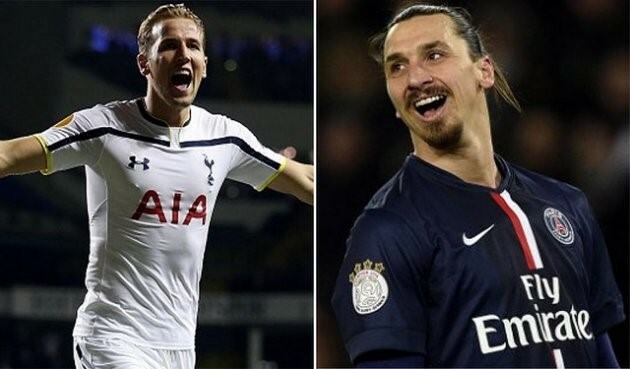 The two strikers which spring to mind are Harry Kane and Zlatan Ibrahimović. Harry Kane was wonderful last season and this season has proved he is way more than a ‘One season wonder’. It could be argued he is a greater and more natural goal scorer than Lukaku and equally as good at holding the ball up. Lukaku edges him in physicality and is probably a better dribbler thus allowing him to create chances out of nothing. Just like Lukaku, Kane is still very young and has the best years ahead of him. Kane unlike Lukaku would more likely to be less inclined to leave for new pastures abroad being an Englishman but this is by no means a guarantee. The flipside is would Kane who is a local lad want to leave his beloved Tottenham as they are a team very much on the up and are likely to be in the Champions League next season. Also would a relatively inexperienced Ed Woodward be able to strike a deal with the notoriously difficult negotiator Daniel Levy? With Ibrahimović’s contract finishing with PSG at the end of the season, he could also be another viable alternative for Manchester United to attempt to sign in the summer. Ibrahimović is a lot older than Lukaku but don’t let age put you off, Sweden’s most famous export since ABBA has scored over 30 goals in all of his past five seasons, some would argue he has peaked a lot later than most so his age is not a concern. The counter argument to this is he has been playing for PSG who are significantly stronger than all the other teams in Ligue 1 which is a valid point, but the way he has performed in the Champions League with the recent tie against Chelsea being a great example proves he can still play at his best against stronger teams outside of Ligue 1. Ibrahimović however will have a long line of suitors and having never won the Champions League in his career may look for a club which will give him the best chance of winning it, if Manchester United fail to qualify for the Champions League it could be very difficult to sign him regardless of Mourinho potentially becoming manager in the summer. Could Manchester United sign Kane or Ibrahimović instead of Lukaku? Another reason why Manchester United may not sign Lukaku is due to his price, Everton purchased the Belgian striker for £28m back in 2014, in the two years since he has developed considerably and would now most likely fetch a transfer fee of £50m upwards. Ed Woodward and the Glazier’s may not be so willing to sanction such a big transfer fee. 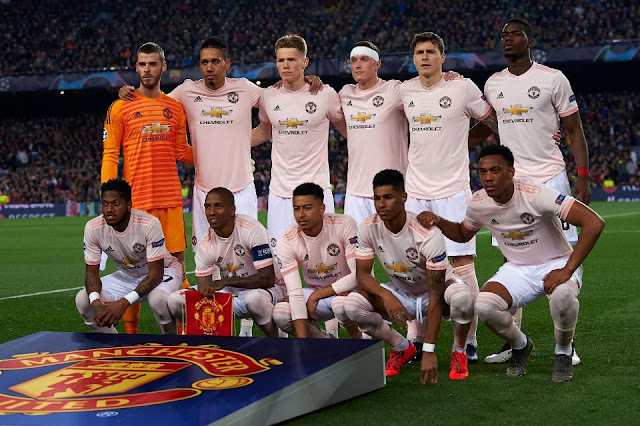 Some fans may also share the same opinion as it could take up a significant amount of Manchester United’s transfer budget thus preventing the club from signing other top class players. Not only would the price effect the club’s finances but it may impact on the player himself, if Lukaku were to be signed for a big fee it could place a lot of pressure on him to perform. Mourinho was mentioned earlier but with the Portuguese manager potentially becoming the manager of Manchester United it may potentially stop a deal from happening. 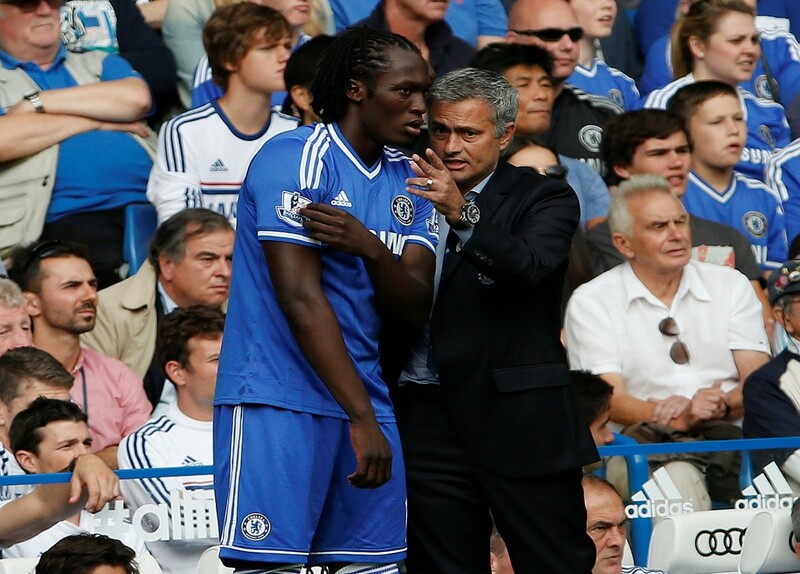 In Mourinho’s first season back at Chelsea he allowed Lukaku to leave the club on loan to Everton. Chelsea’s strikers at that point were Torres, Ba and Eto who were all in poor form so it speaks volumes as to why Mourinho chose not to keep Lukaku as one of his strikers. The following season Mourinho sanctioned the sale of Lukaku to Everton which could highlight the Portuguese manager has doubts whether Lukaku is good enough for him. However, Lukaku has gone on record to say it was he himself who wanted to leave the club and Mourinho granted him his wish. If this is the case it could highlight they have a good relationship and may result in Lukaku wanting to play for Mourinho again, a man which Lukaku says he has ‘immense respect’ for. Lukaku is also a much more complete player than in his Chelsea days under Mourinho which may result in a change of thinking with the Portuguese on whether to sign him. Could Lukaku and Mourinho be reunited at Old Trafford? Lukaku would bring goals to Old Trafford, he has proven himself to be a consistent goal scorer, he would also give Manchester United a physical presence in attack which is something the club have not had for a long time. One of the biggest advantages with Lukaku compared to other transfer targets is he would most likely be available due to Lukaku’s motivation in wanting to leave the club and with Everton unlikely to qualify for Europe this season. However, Lukaku does come with strings attached, most notably his agent Mino Raiola who Manchester United will be very wary of. There is also the question mark of how Lukaku would react if the big two in Spain or Bayern Munich showed an interest in him. In addition, we have Jose Mourinho conundrum, on paper he looks like the Portuguese manager’s perfect striker and he could have another Drogba on his hands, in reality though Mourinho has already managed Lukaku and sold him so does Jose rate the Belgian striker? 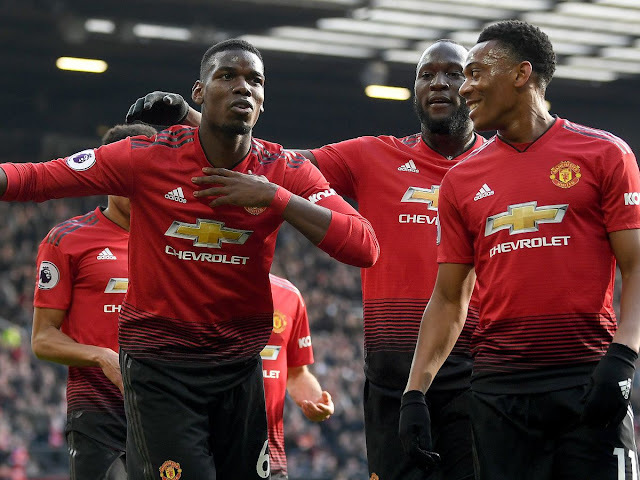 This Sunday is a perfect opportunity for Lukaku to showcase to the world he deserves to grace The Theatre of Dreams on a regular basis next season, but Manchester United fans will be hoping he doesn’t showcase it too much on Sunday as it may impact the result.